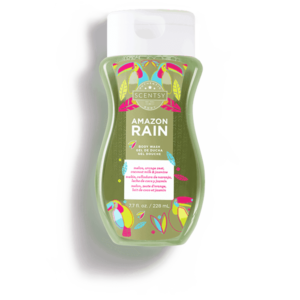 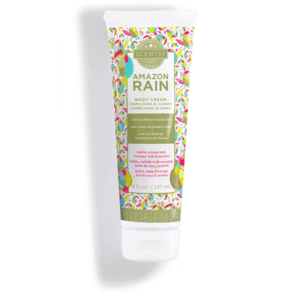 Scentsy Amazon Rain Bath Bomb – Set off on a rainforest romp swirling with sweet notes of melon, orange zest, coconut milk and sultry night blooming jasmine. 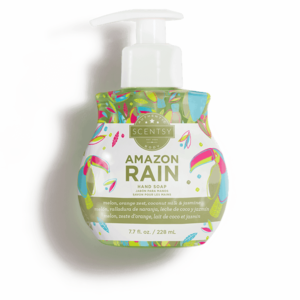 Each Bath Bomb is formulated with our proprietary blend of premium vitamin- and antioxidant-rich ingredients, including sunflower oil, aloe vera, shea butter, kaolin and olive oil, to help moisturize and soften your skin. 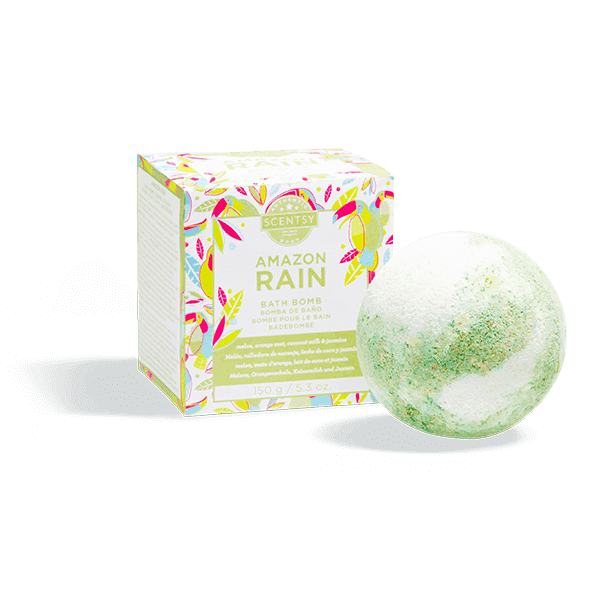 Adds color and fizz to your bath for a fun, relaxing experience.